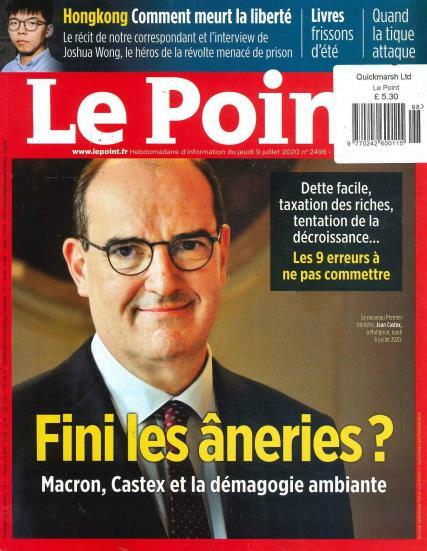 Le Point is a French magazine dealing with news and current affairs. Buy a single copy or subscription to Le Point magazine. It also covering economics, technology, health, culture, and trends, as well as opinion columns and articles on matters of public interest. Le Point was originally modelled on Time and Newsweek.